My mother Ratana quoted Margaret Mead the other night in her acceptance speech at the Organic Trade Association Awards. It got me thinking about how a group of concerned committed citizens are leading this charge for the Basic Democratic Right to know what’s in our food. 64 countries around the world either ban or label GMOs. The USA and Canada are the only developed nations without Labelling laws. Given that 93% of Americas want labelling, why isn’t this a reality? If the companies selling GMOs only did short-term studies safety studies why are they allowed to sell GMOs? Especially given they are not proven safe to eat? Why are GMOs not banned or labelled – at the very least? Coming from Europe it took me a while to figure out that most N. Americans dont know what GMOs are, dont even know that they are in 80 – 85% of processed foods. And why would they know? Well Duh? They are unlabelled. The chemical companies who own the seed companies don’t want N. Americans to know. What have they been hiding? 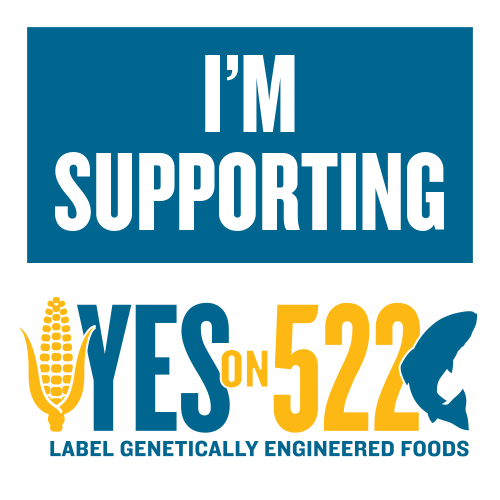 In Washington State these is an initiative to require Mandatory labelling of GMOs. Called I 522 and put to the citizens, it was be voted on this November. If you want labelling of GMOs you will vote yes. If you don’t want to know what’s in your food, you will vote no. Already record and ridiculous amounts of money have been poured into the No side by the pesticide companies, “big agriculture”, and purveyors of junk food. To date, they’ve put in over 12 million dollars. Most of these junk food companies also own organic companies, confusing the already complex chains of ownership. The YES side comprises the grass roots, the environmentalists, farmers who fear that export markets will dry up as GMO contamination spreads, people who care about nutrition and biodiversity, and independent organic companies that are minuscule in comparison to the NO side. Stonyfield – mostly owned by the French Group Danone, and Whole Foods a public company are notable exceptions supporting the YES side. But compared to the NO side, the YES side companies are digging deep in their relatively tiny pockets. It is not an equal fight to begin with, simply based on resources of the NO side. 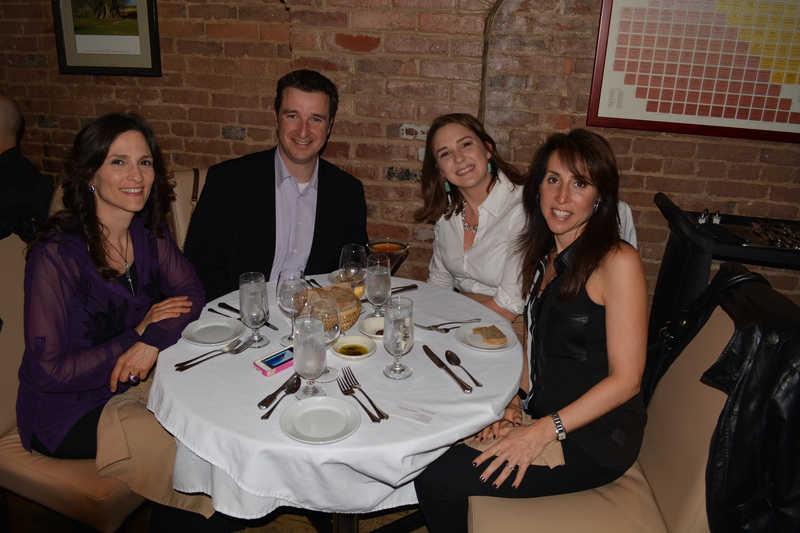 At Baltimore’s Black Olive Restaurant there was a fundraiser for the YES on Washington State’s I 522 two days ago. I thought to myself, wouldn’t it be a great idea to celebrate the YES side, given that a whole group of supporters were together. So ignited the idea for this post. Let’s put names and faces to some of the YES supporters. This is by no means an exhaustive list of those attending the dinner nor those who support YES. 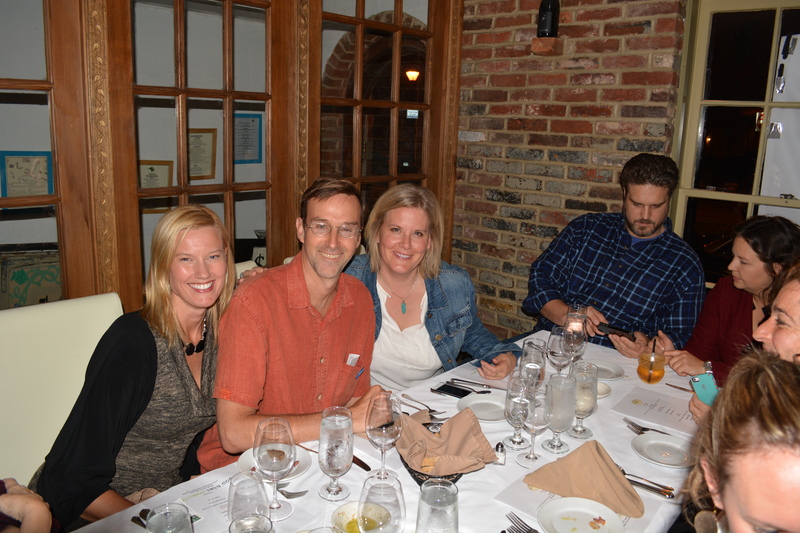 It’s just folks that I bumped into during my short time at the event. 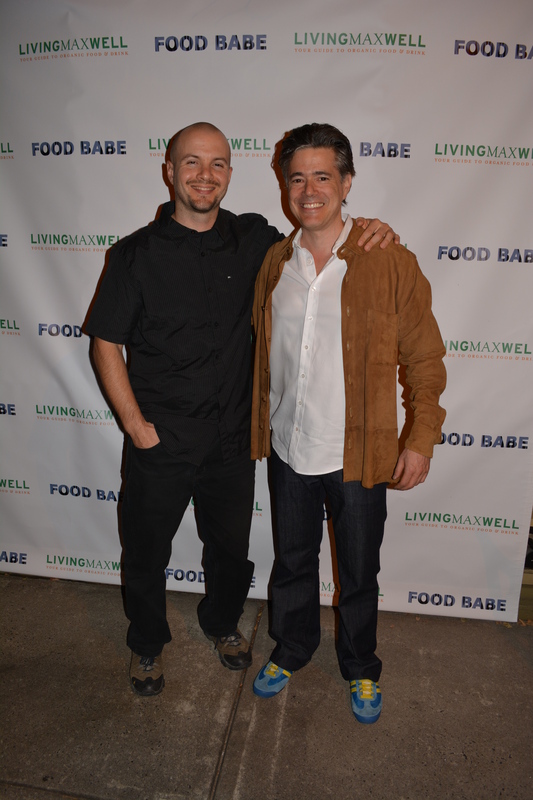 The YES on I 522 fundraiser was organized by Living Maxwell http://livingmaxwell.com/ and Vani the Food Babe http://foodbabe.com/. Both are passionate about food and your right to know if you’re eating GMOs. They are on a mission to inform and educate. 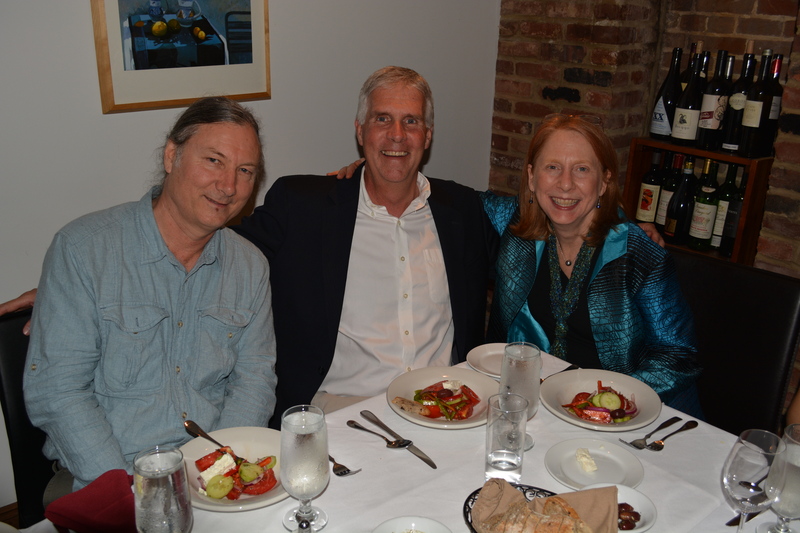 Here is Max Goldberg (L) with Errol Schweizer of Whole Foods http://www.wholefoodsmarket.com/. Whole Foods has taken the laudable and unprecedented step by a national retailer to require labelling by all suppliers by 2018. This is amazing. It’s already causing ripples, nay waves. But Whole Foods says they want to focus beyond GMO labelling and support biodynamic systems, heirloom varieties. GMO labelling is just the starting point. 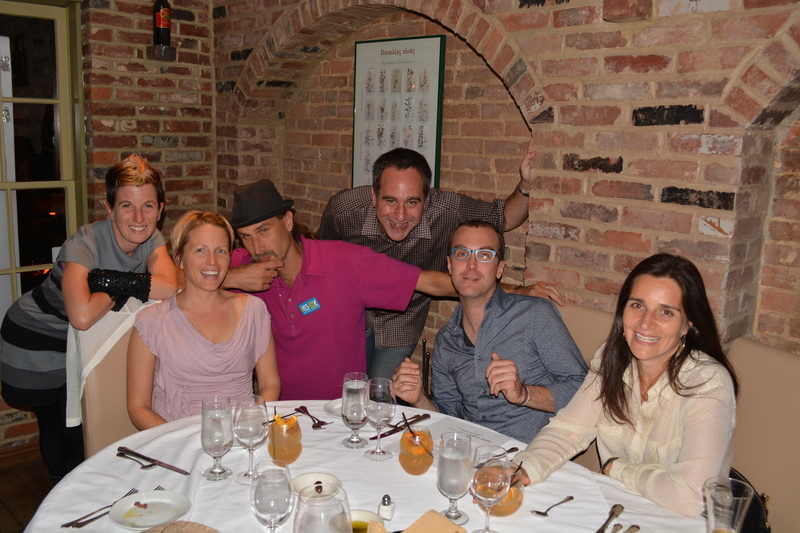 Below here is the Food Babe (she *is* a BABE), with Mike Bronner of Dr Bronner’s Magic Soaps. 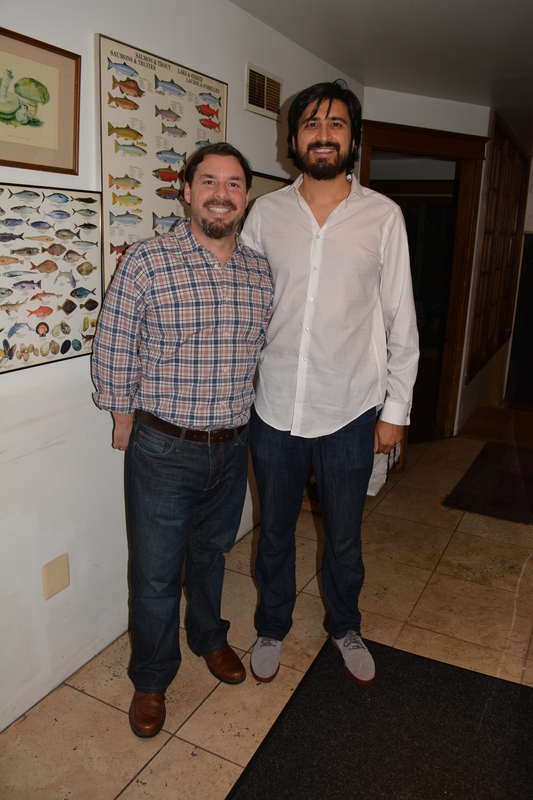 Below my brother Arjan (L) my of Nature’s Path Foods with Greg Fleishmann of Suja Organic Juice http://www.sujajuice.com/. Below Nutiva founder and CEO John Roulac http://nutiva.com/ posing with Kat Schuett. Kat is a fellow jazz singer! She’s also an international journalist, editor and community activist https://twitter.com/katschuett and – (I’m sorry I didn’t get your name-someone please tell me so I can fix this). Food Democracy Now’s David Murphy http://www.fooddemocracynow.org/ was in conversation with Delana Jones Campaign Manager for I 522 http://yeson522.com/. Dave’s short term goal is a Million Members for FOOD DEMOCRACY NOW. Please sign up. 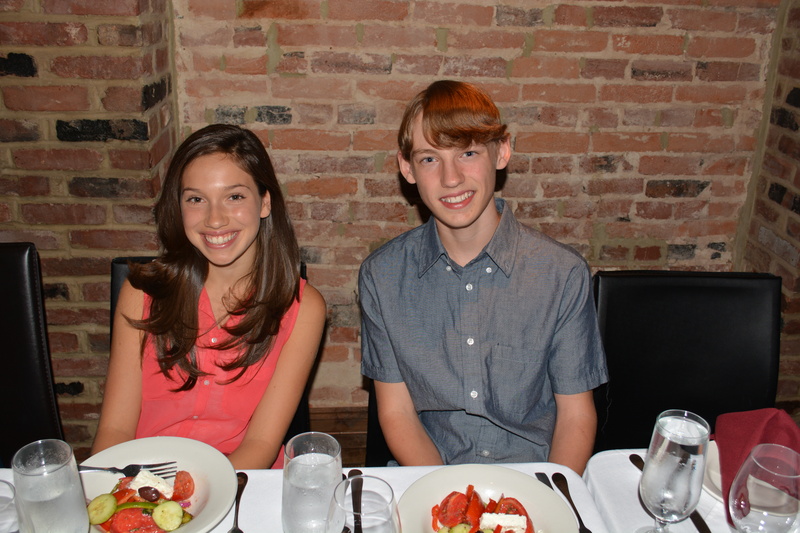 Below Young Activists Birke Baehr http://www.birkeonthefarm.com/about-birke-baehr.html and Rachel Parent http://www.kidsrighttoknow.com/, who toppled Kevin O’Leary in a debate recently. Kevin said “All right, Rachel, I’ll give you labelling. With greater transparency this is going to happen.” Do it already! (Go YOUTH) These kids are only 14. Birke has already given a TED Talk when we was like 12 years old. These two have poise and charm and eloquence. GO YOUTH. Below, Dr Bronner’s Magical Soap team http://www.drbronner.com/. The Bronner family cares about health and the planet, like everyone at this event. The Bronners, Mike in the back and Dave in the hat, are big donors for the YES on I 522 and an inspiration to all fighting for your right to know what’s in your food. Below Dennis and Elizabeth Kucinich. They both were in the film GMO OMG. Dennis said in the film, “If we are what we eat, then we must know what we eating so can learn what we’re going to become. 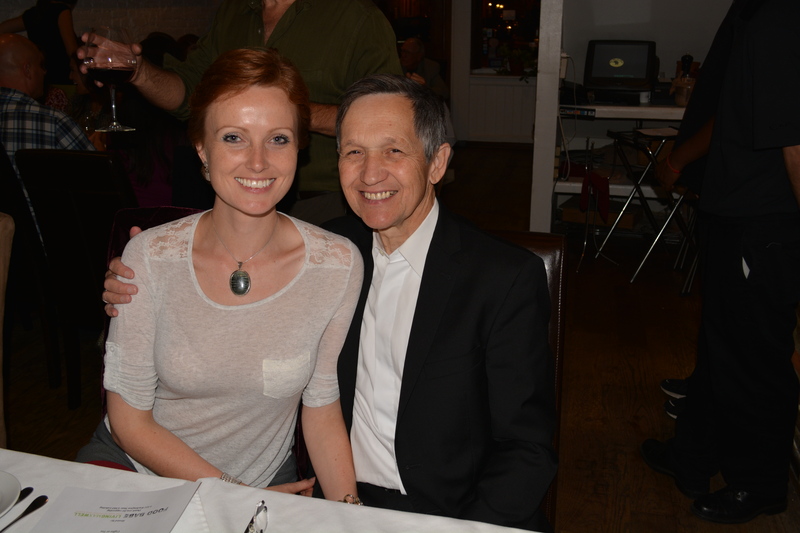 Until the year,Congressman Dennis Kucinich was the Democratic House representative for Ohio’s 10th district. A former mayor of Cleveland and Ohio state senator, Dennis has served seven terms as congressman for Ohio and in November 2010 was elected to serve an eighth. Below Dr Rimjhim Duggal-Stephens, my sister in law whose marriage to Arjan inspired LOVE Crunch cereal. In a bite-for-bite program, for every bag sold of Love Crunch one is donated to the food bank. 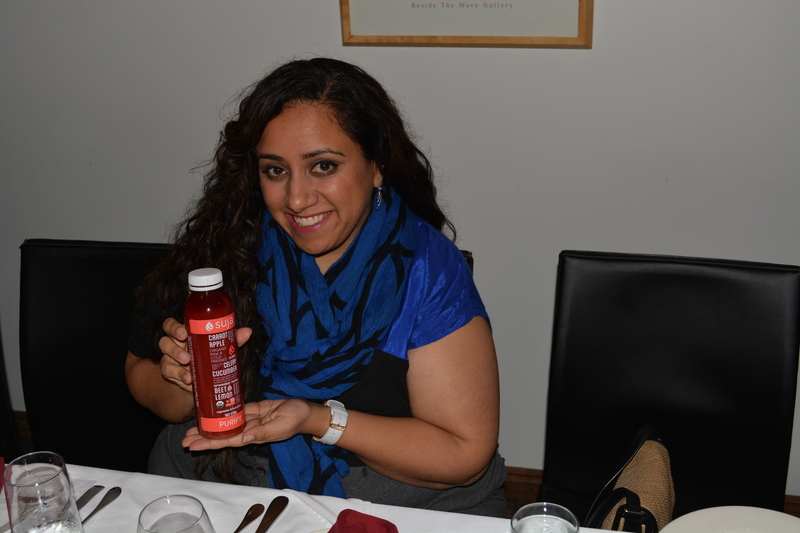 A loving person Rimjhim fell in Love with Suja Juices this last week. Below Ken Roseboro below surrounded by friends. Ken is the editor of the Organic and Non-GMO report. http://www.non-gmoreport.com/organicnongmo/newslettereditor.php He appeared in the film GMO OMG, driving around corn fields with Jeremy Seifert. He is the one who first explained to Jeremy in the film that the GMO corn is technically a pesticide. That pesticide companies are putting pesticides in our food. I wanted hoping to catch Steve Crider, regional volunteer for the YES on 522 Campaign. He is with Amy’s Kitchen, making our family’s favourite frozen pizzas. They also support YES with all their Heart. In sum, you have a committed group of folks who live, sleep and breathe the YES movement for a safer, more delicious world. The NO side is a nameless, faceless conglomeration of huge multinationals, pesticide companies with huge legal teams, infinitely bottomless wells of cash resources and shareholders who only care about protecting their bottom line. Lest you think that this is the Organic industry versus the chemical companies it’s not so simple. It may surprise you that not every large organic food company is fighting for your right to know. In fact most are NOT supporting citizen’s right to know. As Big Multinationals bought out organic companies, (like Kelloggs bought out Kashi for example), most large Organic brands are actually supporting the NO side. What? Say that again? How doest that work? Well, if they hadn’t sold out I can guarantee you that they would be supporting YES. They are supporting no because they are beholden to their Giant parent companies who share a very different set of ideals than the idealists who started out wanting to grow food without poisoning the Earth. Organic food growers and farmers are my heroes. They replenish the soils, purify the waters and go above and beyond the call of duty to the Earth. Every single one I’ve met wants everyone to grow organic for the sake of our future. Long-term side-by-side comparison studies by the Rodale Institute show equivalent or greater yields. Without poisoning the water or soil. This entry was posted in Arjan Stephens, Food heros, Great Events, Mobilize and March, Organic, Right to Know, Sustainable Business, The Environment, The Triple Bottom Line, Trail-Blazers and tagged Amy's Kitchen, Bronner, Darren Mahaffy, Dave Murphy, David Bronner, David Murphy, Delana Jones, Dennis Kucinich, Dr Bronner, Elizabeth Kucinich, Errol Schweizer, Food Babe, Food Democracy Now, Genetically modified organism, GMO, GMO OMG, I-522, Jeremy Seifert, Kat Schuett, Ken Rosboro, Kids Right to Know, Labelling, labelling compaign, Living Maxwell, Love Crunch, Margaret Mead, Max Goldberg, Mike Bronner, Nutiva, organic trade association, Rachel, Rachel Parent, Rimjhim Duggal-Stephens, Steve Crider, Stonyfield Farm, Suja Juice, United States, Washington, Washington State, Whole Foods on September 28, 2013 by Gurdeep Stephens.